Altus Hygienic Products Private Limited is one of the foremost manufacturers and exporters of Absorbent Cotton wool with state of the art manufacturing facilities near kheda, Gujarat. We are your reliable partner in hygiene and quality. We started with a vision to provide high quality products and to ensure hygiene at every step of the manufacturing process. Our vision is our driving force to ensure that our clients receive quality products at competitive prices. At Altus Hygienic Products Private Limited, we are making indefatigable efforts to engineer hygienic and premium quality products. Technical and engineering services and quality control engineers are the mainstay of our continued growth in our markets. Altus Hygienic Products Private Limited comes from the Altus Surgical family, which has started manufacturing and exports of absorbent cotton wool also called as medicated/surgical cotton and its allied products like, zig zag Cotton, bleached cotton, cotton ball and cotton round pads in the year 2002. We have elevated the industry standard with its splendid range of products which includes Absorbent cotton roll, Zig zag cotton, Bleached cotton, Cotton Ball, Cotton Round Pad. 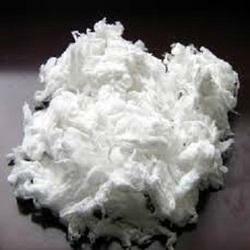 we provide Bleached Cotton, Zig Zag Cotton, Cotton Ball, Cotton Round Pad, Cotton Roll Absorbent products to UAE, Dubai, Gulf Countries including Sharjah, Abu Dhabi, USA, tanzania, Congo, Kenya, India and united Arab Emirates. Contact us for medicated cotton, surgical cotton, medicated cotton roll and surgical cotton roll. get best quote from medicated cotton supplier in india, surgical cotton supplier in india, medicated cotton exporter in india, surgical cotton exporter in india, medicated cotton manufacturer in india, surgical cotton manufacturer in india, medicated cotton manufacturer, surgical cotton manufacturer, medicated cotton exporter, surgical cotton exporter, medicated cotton supplier and surgical cotton supplier. For more information, email us at info@oricothygienics.com , or Call us at +91 98240 85367. "An Altus hygienic product has proven to one of the best providers in Absorbent cotton. I am their super distributor since 12 years and I am very happy and satisfied to deal with their products." Block No â€“ 821,Opp. Riddhi Siddhi Recyclers Pvt. Ltd. Kheda â€“ Dholka Highway, Â Dist â€“ Kheda, Gujarat, India.